There's good news for daters to make it easier to find love from their mobile phones. 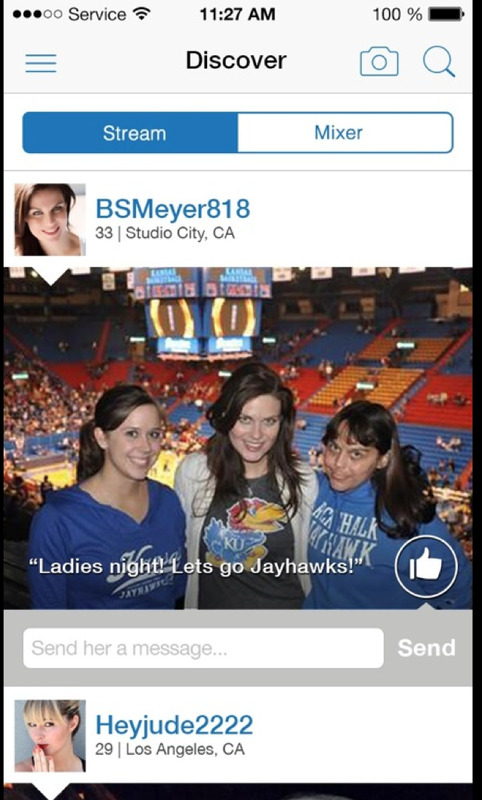 Today Match.com released their long-awaited and very user-friendly Match 3.0 for iPhone users. The message is very clear. The success of finding love online is all in the hands of your mobile device. The Match 3.0 mobile differs from their previous mobile app, as it no longer emulates the desktop version of the online dating site. The new app now includes a "Discover" page, where you'll find two new features, "Stream" and "Mixer. The "Stream" feature allows you to scroll through many profiles with multiple photos of the daters based on location. You'll see a familiar style as each profile has a cover photo, which reminds you of Facebook. You can easily send a message to the person who captures your eye as you scroll down through a stream of potential matches. There are also multiple places for you to upload photos directly on the app. The new "Mixer" will look familiar to mobile dating users, as it may remind you of Tinder. Users can view a single profile and now swipe left to take a pass or swipe right to give your potential date the thumbs up to start communicating. The swipe-effect is now becoming a prominent feature for many mobile dating apps. Match reports that over 55 percent of their members are using their mobile app to send emails, with 50 percent of their signups come from mobile. As a result, for the first time, they're allowing users to sign up on the mobile phone, as compared to using the desktop version. They've now prominently displayed their membership fees along with the features for those ready to pull out their credit card to pay. At the end of the digital day, we're living in a swiping world when it comes to finding love on your mobile phone. Julie Spira is an online dating expert and founder of CyberDatingExpert.com. She was an early adopter of the Internet and creates Irresistible Profiles for singles on the dating scene. Julie is the host of Mobile Dating BootCamp and Online Dating BootCamp.